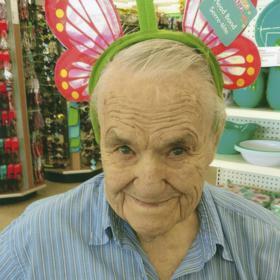 Mr. Lewis Lawrence Bird, age 93, passed away Saturday, June 9, 2018. He was born in Kalkaska, Michigan on September 9, 1924 to Steven & Viola (Rose) Bird and served his country in the US Army during World War II under Gen. Patton. He married the former Eleanor Smith on August 12, 1950. Mr. Bird had been a Machinist for Lakey Foundry for many years until retiring. Lewis was a member of Central United Methodist Church. He enjoyed bowling, gardening beautiful flowers, fishing and watching the Tigers. He will be greatly missed. Brother, Lonnie Bird of Ravenna; many nieces & nephews; his special "Angels" at Sanctuary at the Oaks. He was preceded in death by his wife, Eleanor in 2015; brothers, Ken, Stanley, Basil; sisters, Beatrice & Leola. Thursday, June 14, 2018, 1:00 pm with visitation one hour prior to the service at First Congregational Church, on Pontaluna Road in Fruitport with Rev. Lowell Wood officiating. Interment in Fruitport Cemetery with Military Honors. MEMORIAL: Noah Project.